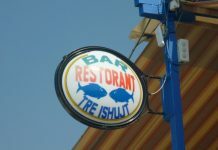 The beer house as the name implies is the best place to get assorted beers in Sarande. 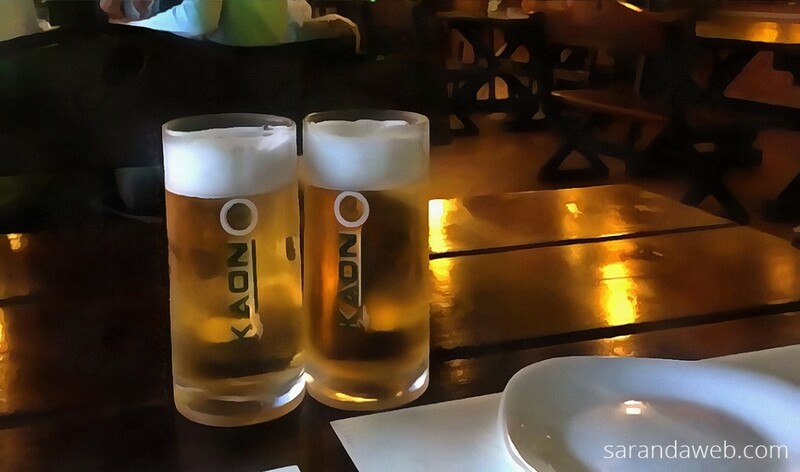 You have a ton of beers to chose from, from local beer (that can be served from 1l to 3l) to imported beers. The beer house has great atmosphere and a cool location. The environment was decorated with beautiful flowers and nice designs that could leave no other to people heart than been praising their looks with great positive rating. The outstanding thing about the beer house is that apart from beers, there are also expert cooks that cooks food…so you can sit there, relax with the food of your desire and use the beer to aid you eating. The beer house is a place where your money count valued for the services in which you receive so You can go there for beers and eating, have fun with friends and families. Their services and their professional staff deserves a 5 stars rating at the moment of this publication. 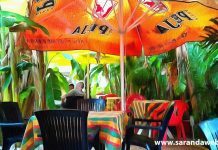 I have once heard of a worse comment about the beer house in sarande and I started to imagine how it’s going to look like because I have never been there by then. He revealed to me what he wrote on his last visit August 14th 2014 in which he said “Never again”. Due to peer pressure same group 11 went for lunch including him and his wife. He said that he asked from the waiter that did they have German Sausage as on the menu, the waiter said no sausage at all but have both salad and chips. Yet again one new waiter on but not his fault a nice bloke, yet again he had to ask for beer after 25 minutes got 1st beers. and the rest of parties drinks. The beer is excellent when you get it , you will continually asking for more drinks to be replenished. Poor Waiter of 1 was run off his feet . Yet again his friends asked for Chofta and he asked the cook whether the chofta was a genuine on, “OH YES” that’s the response of the waiter but the chofta came as sausages, as at the last visit he told the cook it was sausage from the Supermarket and they come frozen in packets of 10. He said that the waiter said told him that it was her specialty, Chofta sausages. Not one of 11 were happy with any meal yet again all salty except for the French fries. And finally concluded that he will shoot himself in the foot if ever he goes there again and if eventually he is willing to be there, he will just go for the Beer and eat somewhere else. Even with the above bad comment of my friend I decided to see thing and the situation there myself and then discovered that the case was different. Tried for the case was very impressed by the kind and friendly service of the waiters, tasty and plentiful meat, good beer, all for the modest sum of € 5 per person, nothing to what I have portat. Honestly, I read other reviews on this local and I can not find any feedback with negative statements that have written, the place does not deserve absolutely negative statements all good, perhaps referring to an old management. Within some minutes of a closer view of the amazing surroundings, I came across an old friend of mine there having fun. I will like to stress it again that in there you will find good foods, variety of beers and drinks at great prices, polite and professional staff, convenient location, parking available, good capacity. It’s is essentially good for you to be there as soon as possible so as not be late and so as to see seating space. We stayed there overnight in one of their decent rooms and were amazed by their foods, their local beers are also very good. We had goat kid ribs and country salad. It was delicious!!!! Really fantastic. I would give 7 stars if possible 😉 so we shared 1 main dish (I think it was the most expensive), 1 country salad and 2 beers 0.5l and it was all together 7.2€. Funny price. :) And the staff is also friendly and nice. 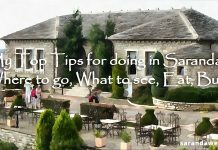 The beer house in sarande is the one of the best place to be while in vacations or when preparing for a tourism in sarande.